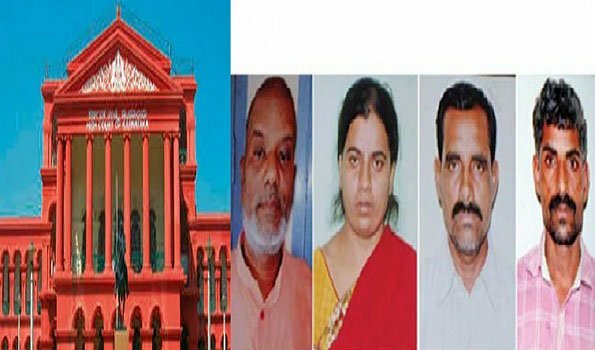 Chamarajanagara: A Kollegal court has remanded police custody for the four arrested persons arrested including Immadi Mahadevaswamy, junior seer of Salur Mutt at MM Hills after 15 persons died after consuming 'prasada' in a temple in Salwadi village in the district tragedy on last Friday. The accused were produced before the Kollegal court magistrate Mr Srikanth's residence on Wednesday night and remanded four days of police custody for further investigation . Besides Mahadevaswamy, Madesha, temple manager, his wife Ambika and priest Doddaiah have also been arrested by the police for allegedly planning and executing the crime at Sulwadi Kichhugatti Maramma Temple in which 15 persons died so far and more then 90 persons are taking treatment in various hospitals in Mysuru. They were brought to residents of judge with heavy security led by ASP Geetha Prasanna and DySPs Jayakumar and Pputtamadiah. Police had sought for ten days of custody , however, judge given only four days of custody.